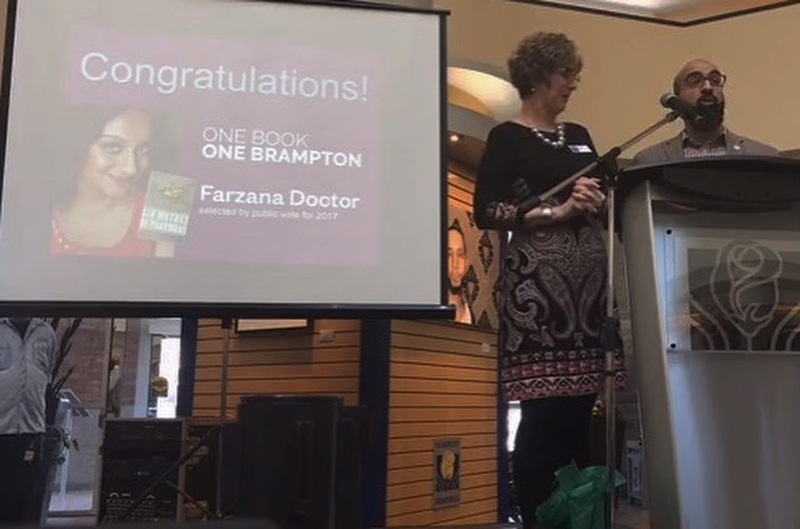 Six Metres of Pavement is the 2017 One Book One Brampton Winner! A huge thanks to the Brampton Library, One Book One Brampton, and all of my friends, family and fans who voted for Six Metres of Pavement as this year’s pick. I watched with glee on Facebook Live from Beirut. I’m thrilled and am looking forward to meeting new Brampton readers. Congratulatons, Farzana! We look forward to seeing you in Brampton! thanks June! Looking forward to coming to Brampton!